“Without question, one of the brightest lights on the American progressive/art rock scene, IZZ melds classic and modern prog influences, strong melodies, and stirring guitar and synthesizer solos into a familiar yet refreshing musical stew” – NEARfest (www.nearfest.com). IZZ was formed under the musical vision of brothers Tom and John Galgano. In 1996, Tom brought together fellow Manhattanville College classmates — all musically trained — to write, arrange and perform original music. 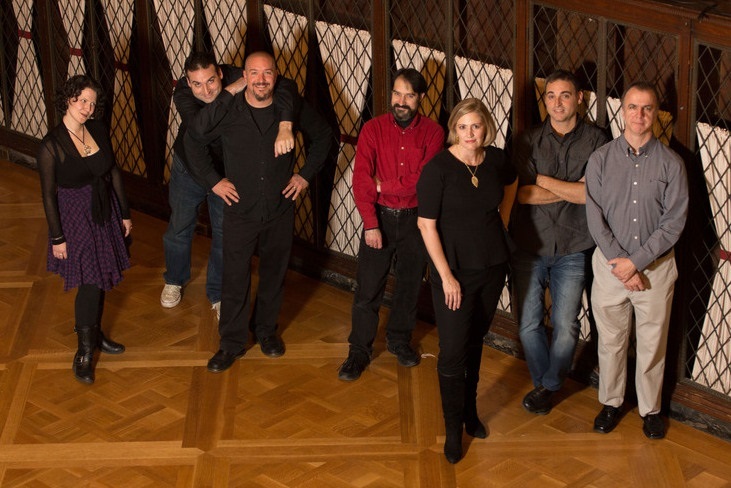 In addition to Tom (keys and vocals) and John (guitar/bass), IZZ’s first lineup included Greg DiMiceli (drums), Danielle Altieri (vocals), Michele Salustri (vocals) and Brian Coralian (drums) and Phil Gaita (bass/guitar). Together they wrote and released Sliver of a Sun in 1999. After Danielle, Michele and Phil left the band to pursue other ventures, IZZ continued to write new material and performed intensely in and around New York City between 1999-2002. During this time, Paul Bremner joined the band and brought new elements that helped define the band’s signature sound. In 2002, IZZ released I Move, their second studio album, to rave reviews and was invited to play at an increasing number of national music festivals, including Progday 2002 in North Carolina and Progwest in Southern California. Vocalists Anmarie Byrnes and Laura Meade became more involved during the completion of Ampersand, Volume 1, which was released in 2004, and followed by a live performance at Rosfest 2004. The following year, IZZ completed My River Flows, which was released in 2005. The album was toured at numerous festivals in the American progressive/art rock circuit including festival stalwarts Calprog 2005, 2006 and 2008 and the North East Art Rock Festival (NEARFest 2007). After an electrifying NEARFest performance, IZZ released their first full-length live album titled IZZ Live at NEARFes” in late 2007. Released in 2009, The Darkened Room quickly became a favorite among IZZ fans for the intensity and uniqueness of the compositions and performances. The tracks “Can’t Feel the Earth, Part I” and “Can’t Feel the Earth, Part II” in particular display the band’s prowess for melding intricate playing and memorable melodies. In true innovative form IZZ also produced several shorter, concise songs such as “Ticking Away,” “Regret,” and “The Message.” The penultimate piece on the album, “23 Minutes of Tragedy” has become one of IZZ’s most requested live songs as its compelling emotional and dramatic style captures the audience from the first acoustic guitar notes. Between 2010-2014, IZZ continued to perform live, including three times at the Terra Incognita Festival in Quebec City, Canada. In 2011, IZZ released their first live DVD, IZZ Live featuring performances from NEARFest 2007 and clips from ProgWest (2002). In 2012, work was completed on Crush of Night. For the Crush of Night album, IZZ had the distinct pleasure of recruiting former Gentle Giant and current 3 Friends guitarist, Gary Green. Gary added his unique playing on two songs. The track “Words and Miracles” includes classic Gary Green guitar playing as well as some backing vocals by Green. The merging of the IZZ sound with this progressive rock guitar idol provided a unique listening experience for IZZ and Gentle Giant fans alike. Tracks such as “Solid Ground” and “You’ve Got a Time” instantly became a mainstay of the IZZ live catalog while the epic Crush of Night suite which spans over 20 minutes of the album, adds to the IZZ canon of adventurous and melodic music. IZZ guitarist Paul Bremner is set to release his solo album in 2016 which features all the members of IZZ. In January of 2015 Tom suggested keyboard player Joe Cardillo join in on the sessions. The results we’re immediate. “It was if I we had been playing together for years. The way the three of us locked in with each other’s playing was uncanny.” said Simon. Joe has spent the better part of his life playing keys in a wide variety of bands, performing classics and original music throughout the tri-state area. 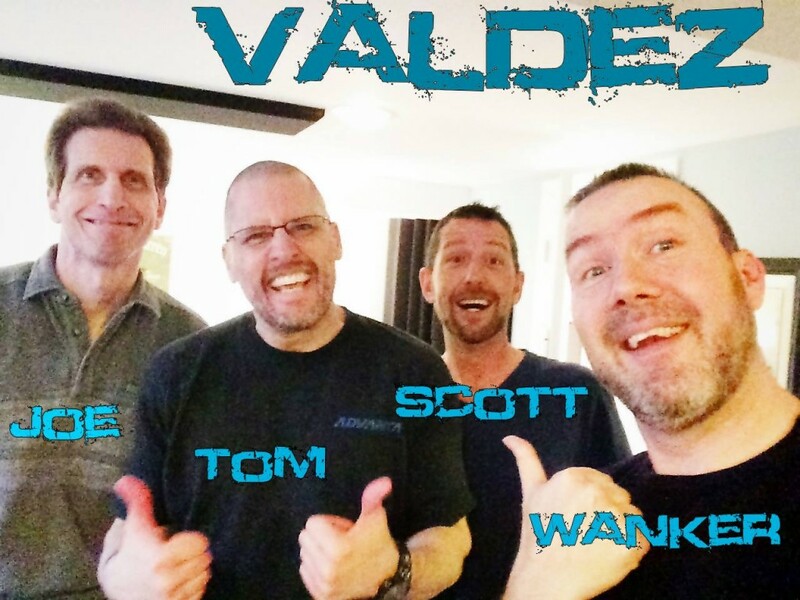 The four are currently writing material as Valdez for a release later in the year.